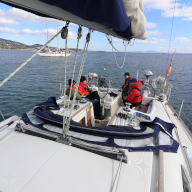 A Yachtmaster qualification is a certificate of competence of the ability to handle either a sailing boat or motor boat (as endorsed) in certain prescribed conditions. The RYA set up a committee to govern its training activities in 1967 and the Yachtmaster Qualifications Panel was set up in 1971. Training is carried out in more than 23 countries and there are 18,000 RYA instructors across the world. It is estimated that 13,000 professionals are working on commercial vessels using RYA Certificates of Competence. At Deep Blue Sea Training in Mallorca, we run the full scope of RYA courses leading to the Yachtmaster qualification. 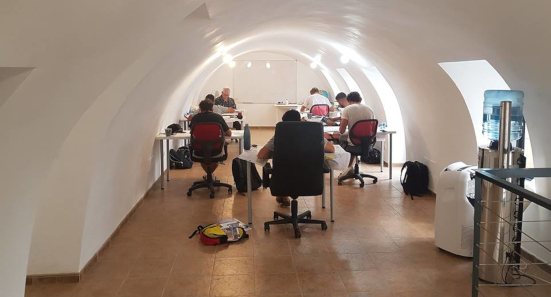 This level of RYA training is a specialty for Deep Blue Sea for Yachtmaster candidates and our students come from many locations around the globe. 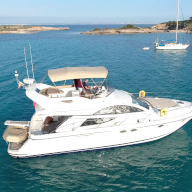 With a remarkable exam success rate, professional training support (pre and post course) and a constant stream of positive reviews and feedback, we are quickly establishing ourselves as the professional choice for RYA training in Mallorca. The RYA Yachtmaster™ Offshore Certificate of Competence is recognised and respected around the world. 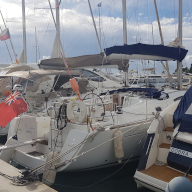 An RYA Yachtmaster™ needs a wealth of knowledge, not only to cope with plain sailing or motor cruising but also to be able to cope in demanding situations. 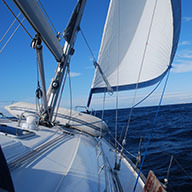 An RYA Yachtmaster™ Certificate of Competence is often the ultimate aim of aspiring skippers. It is a well known, highly respected qualification worldwide, proving your experience and competence as a skipper. Unlike other courses in the cruising programme, there is no formal training to complete in order to become a Yachtmaster™. Instead, provided that you have sufficient experience and seatime, you can put yourself forward for an exam to test your skills and knowledge. Most Yachtmaster™ candidates choose to book themselves into an RYA training centre for some tailor-made tuition to prepare them for the exam. This is not compulsory but if you have not previously undertaken any formal training it is unlikely that you will pass the exam. 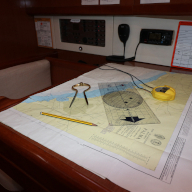 This short Yachtmaster Theory Workshop provides revision of the basics of navigation theory and charts in preparation for the Yachtmaster theory course. The workshop is aimed at those preparing for the Yachtmaster Offshore or Yachtmaster coastal theory week, but is open to all. Course runs throughout the year, but must be booked in advance as places are limited. 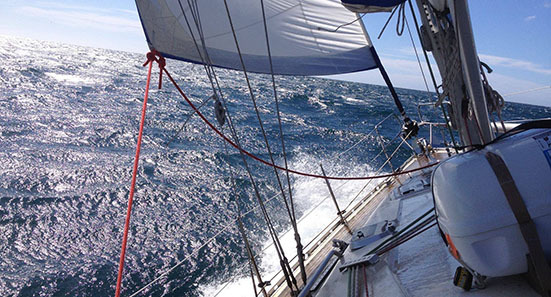 This six-day Yachtmaster/Coastal Skipper Course is advanced training for more experienced skippers wanting to learn how to navigate safely on coastal and offshore passages. 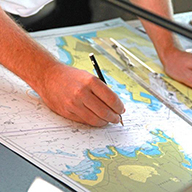 The course starts with a revision of the basics in navigation theory and quickly moves on to advanced navigation, meteorology, collision avoidance, safety at sea and passage planning. This course provides theory knowledge to the standard required for the Coastal Skipper and Yachtmaster Offshore practical exams. The RYA Yachtmaster™ Offshore Certificate of Competence is a highly regarded worldwide qualification proving the experience and competence of a skipper. Sufficient experience and sea time form the eligibility criteria for taking the Yachtmaster™ exam. The Yachtmaster offshore sail exam preparation week provides five days practical boat handling and revision of the theory with all aspects of the examination organized. The RYA Yachtmaster™ Offshore Certificate of Competence is a highly regarded worldwide qualification proving the experience and competence of a skipper. Sufficient experience and sea time form the eligibility criteria for taking the Yachtmaster™ exam. The Yachtmaster offshore motor exam preparation week provides five days practical boat handling and revision of the theory with all aspects of the examination organized. Holders of the Yachtmaster™ Coastal or Yachtmaster™ Offshore sail Certificate of Competence may take a practical conversion exam to obtain the equivalent power certificate of competence. Candidates may also convert from power to sail. 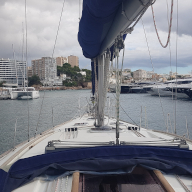 The same rules apply whether you are converting from sail to power, or from power to sail, but the practical exam for converting from power to sail may take slightly longer. 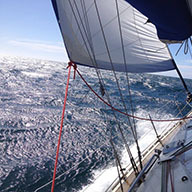 This advanced course is for those aspiring to blue water cruising and is ideal for holders of the Yachtmaster Offshore certificate who are preparing for their first ocean passage. This course involves astro-navigation, ocean passage making, worldwide meteorology and electronic navigation aids – it also includes time learning the practical application of a sextant. Note: If you are working towards your Yachtmaster Ocean Certificate of Competence, completion of this shore-based course exempts you from the written exam.